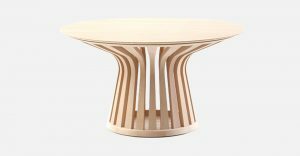 Designer Claudio Silvestrin declares his hopes for the near future with a metaphor in the form of the Millennium Hope table. This monolithic union is created by the perfect pairing of five planks of veneered oak from five different continents: Europe, Asia, Africa, America and Oceania. 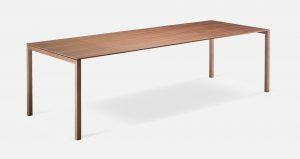 On this table, composed of two vertical elements surmounted by a horizontal top of the same thickness and width, the subtle differences between the veining of the different oak varieties are united in perfect harmony. 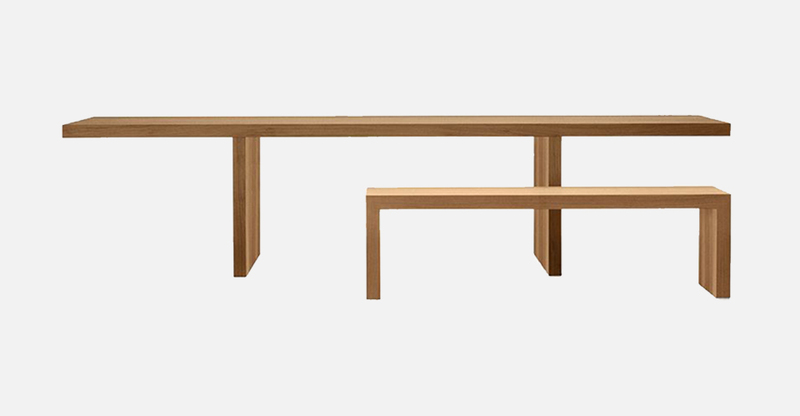 The Millennium Hope table is also available with two alternative finishes: natural oak or wengé-stained oak. 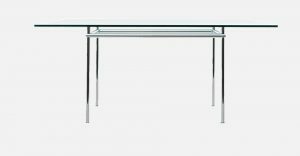 The table can be accompanied by the matching bench, which was designed with the same intentions and rigour.